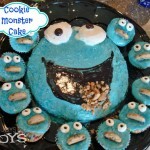 Whenever one of my boys’ birthdays roll around I always go looking for ideas for birthday cakes for boys. With my baby’s 2nd birthday coming up (tears! sniff, sniff) I knew exactly what type of cake he would want. He is completely into anything with wheels so a dump truck cake would be perfect for him. This dump truck cake was pretty much the easiest cake I have ever made because if I messed up I could cover it with chocolate boulders or crunched up cookies and nobody would know the difference. Perfect for an amateur cake decorator like myself! 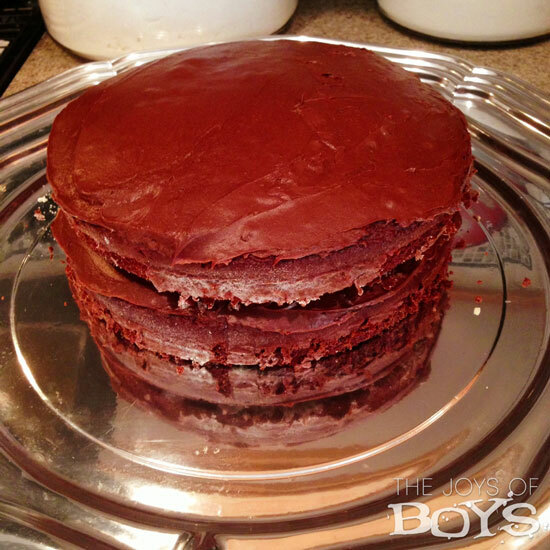 To make this cake, bake two round cakes and stack them together with frosting in the middle. 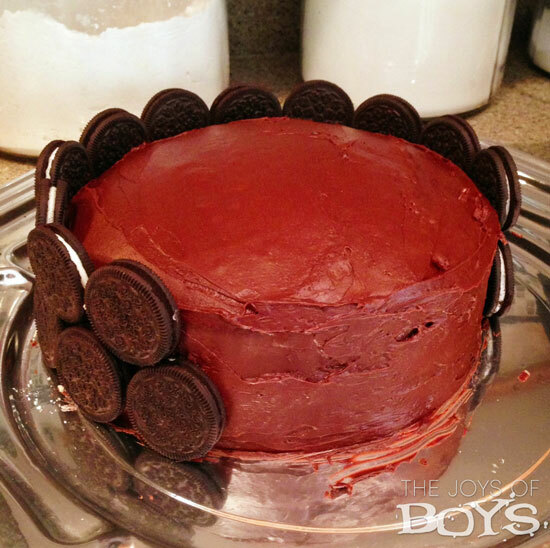 Frost the cake around the outside with chocolate frosting and immediately add on the Oreo cookies if you like. I liked using the Oreos because they reminded me of tires. And now comes the fun part. Place about half of a package of Oreo cookies or other chocolate cookies into a plastic storage bag and use a rolling pin to smash them up into little pieces. Then cover the top of the cake and down one side to make it look like a gravel road. Of course you can’t have a dump truck cake without the dump truck and that was the best part for my 2-year-old! I found a small dump truck at the dollar store and we washed it up really well and then filled it up with Whoppers, Rolos, cut up Twix, Snickers, KitKat and any other candy bar I could find. Then I made it look like the truck had lost its load off the side of the cake. The lost load was the best part of the cake. 😉 Nom, nom! When all was said and done, baby loved his cake but only ate the Oreo cookies. 🙂 But, if it’s your party you can do what you want, right? More cake for me! 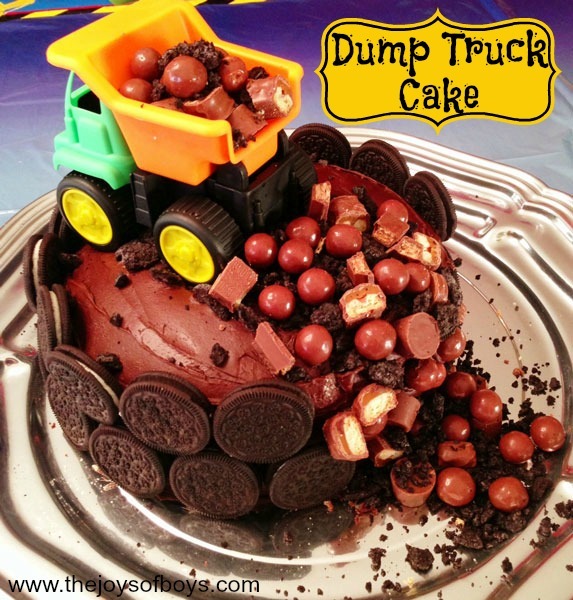 This is very creative and I think easy to make dump truck cake. You just gave me an idea what to make when one of kids have a birthday. I have 3 boys too and they are lots of fun. LOVE! LOVE! LOVE! This is so stinking cute! Good job! Oh my this is so cute. I think I may make this for my son’s 2nd birthday, which is coming up in just over 2 weeks. Thank you for bringing your cute cake to family fun Friday! Hope to to see your creations again this Friday! Blessings! Thanks for sharing on Mix it Up Monday. I got a laugh out of this because it reminded me of the time my husband made a chocolate cake for my birthday. The layers fell apart when he removed them from the pan, so we nicknamed it a dump truck cake. Yours is much cuter, though! Love your cake – the more chocolate the better is the general rule in our house! That cake is so stinkin’ cute! My baby is turning 3 next month and I know he’d love something like that! Thanks for sharing at Family Fun Friday! 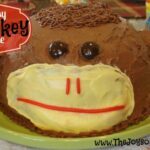 What a sweet, cute cake for a little boy 🙂 I love your monkey cake too! Thank you so much for linking this recipe up at Recipe Sharing Monday. I hope to see you back next Monday. Have a good weekend! 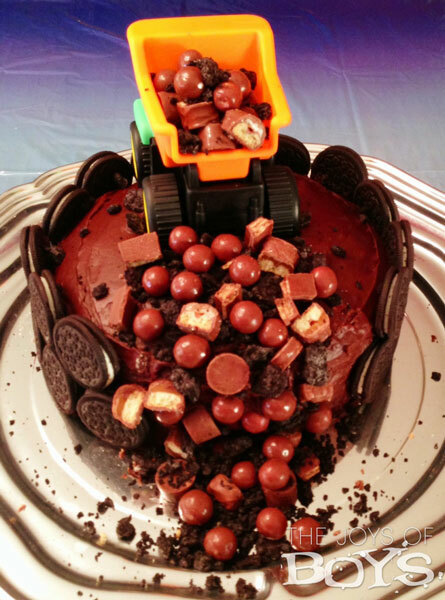 I saw this idea for a dump truck cake on Link Party Palooza tonight. I have two boys – they would LOVE this cake. I’ll have to keep it in mind when their birthdays roll around again. So cute. OH YEAY! Cookies and candy and cake! YUM! I know! Complete chocolate overload, but SO yummy! My son is turning 2 in less than two weeks and he loves his dump truck. I already planned on making this cake, but I would love for you to stop by and share on my weekly recipe linky, Kids and a Mom in the Kitchen http://totsandme.blogspot.com/2014/02/kids-and-mom-in-kitchen-72-rock-cycle.html Have a great weekend. What a precious cake, it is just adorable, great job! Happy 2nd to your baby! Hope you are having a great weekend and thanks so much for sharing with Full Plate Thursday. Thanks Rachel! You are so nice. I’m so glad we met as well. Stay in touch! This is the cutest cake I’ve ever seen. We celebrated our son’s 18th birthday last Saturday and he wanted the Oreo Frozen Cake – which was also unique and actually pretty good even if I didn’t make it. Thanks for sharing and linking up with us at the #WWDParty. Have a wonderful week. Thank you so much April! This was so simple to make and perfect for a little boy. THis is toooo cute! What a great idea and simple too! Trust me, if it isn’t easy, I can’t make it. 🙂 That is one of the reasons I loved this cake. I hope your little guy loves it and Happy Birthday to him!